National Kite Flying Day is observed annually on February 8th.Kite Flying Day is marked by kite flying enthusiasts across the country; this festival often has a lot of kites packed into a region of the sky. There are quite a few internationally recognized and appreciated kite festivals taking place in the US. 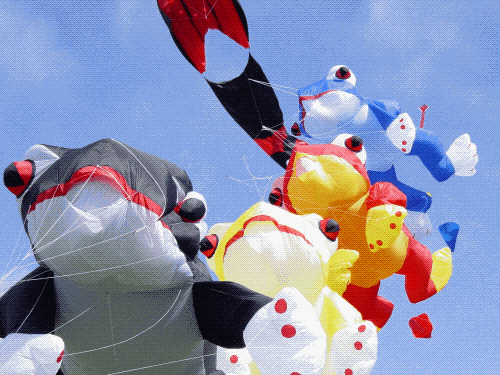 Amongst them, the well recognized and voted best in the world by Kite Trade Association International, is the Washington State International Kite festival. 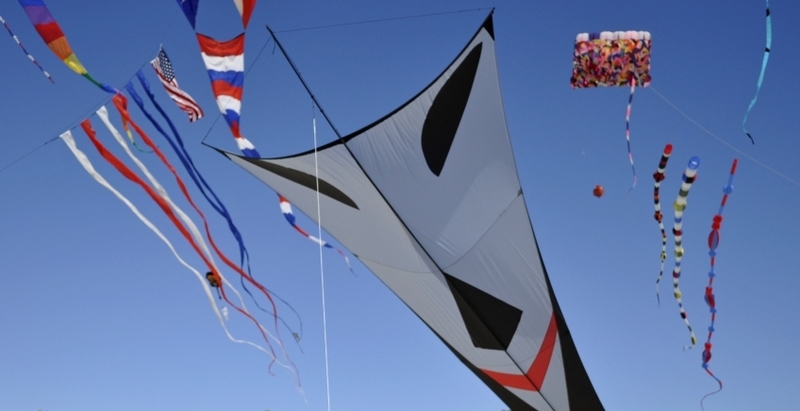 Let us look at some of the main Kite festivals in the US which are recognized by Top events of the US. The Huntington Beach Kite Party is the ideal event representing the amazing skills of these kite flyers as well as itoffers a separate area where even the general public can fly their own kites apart from the professional flyers. You can see professional kite flyers from all over the US. This event is one of the most popular annual events in Washington DC and regarded as one of the top ten kite festivals in the US. The Blossom Kite Festival features kite flyers from across the US and all over the world competing with their age group in various competitions to show their skills as well as to assist the children from the activity tents who are there to learn on how to make and beautify their own kites. 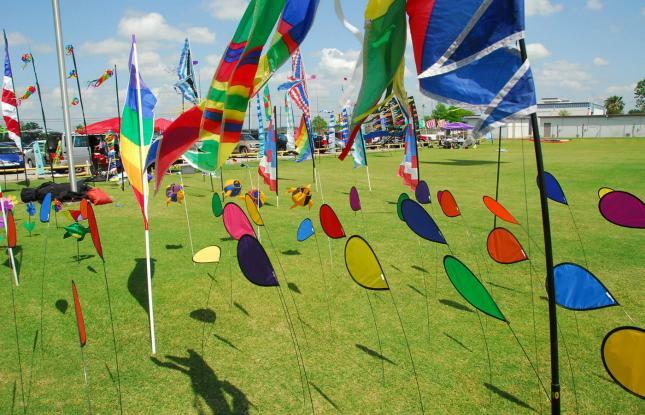 The Louisiane Kite Fest is famous for showcasing all sorts of kites and it is also well-known for itsfree Kite Fest. This is the only such event in Louisiana and one of the state’s top festivals, that attracts over 10,000 people each year and features kite making, kite designing, indoor kite flying, and night flying with kites decorated with LED lights and fun events in particularto catering the children with candy dropping kites. This is one of the favorite events for children, where the kids have free kites to fly. This Kite Festival in Chicago is one of the major kite festivals in the US that attracts enthusiasts from more than 100 countries worldwide and entertains a wealth of family-focused leisure, from extraordinary kite demos to flying paper kites to face canvas, crafts of all kinds and demos by balloon artists as well. This is the place where you can see a wide selection of different kinds of kites from; very large kites and sports kites. The organizers give free kits for children to design, decorate and create their own kites. 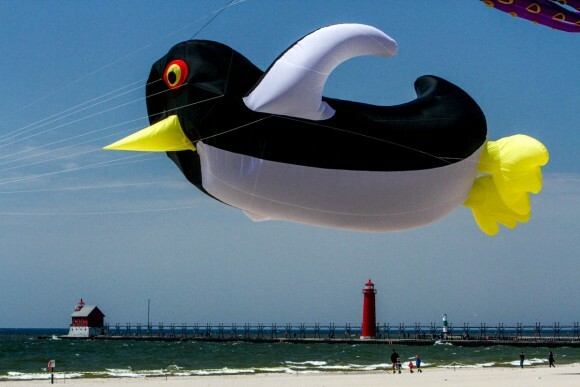 The Great lakes kite festival is one of the manyfamous kite festivals in the US, This festival features everything from a night fly on the beach to indoor events. You can see the best kite flyers in teams and individuals with their giant kites and boarding kite competitions, night events with illuminated kites. This is the world's largest outdoor “Kite Store” with the best in new kite soaring gear and more flying activities. 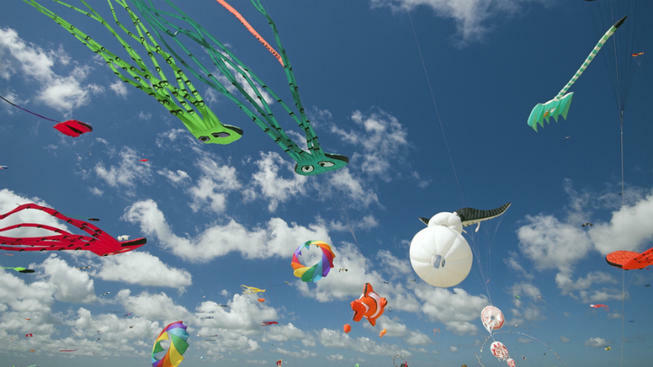 This is one of the major kite festivals in the US; which is considered to be the largest kite festival in North America. 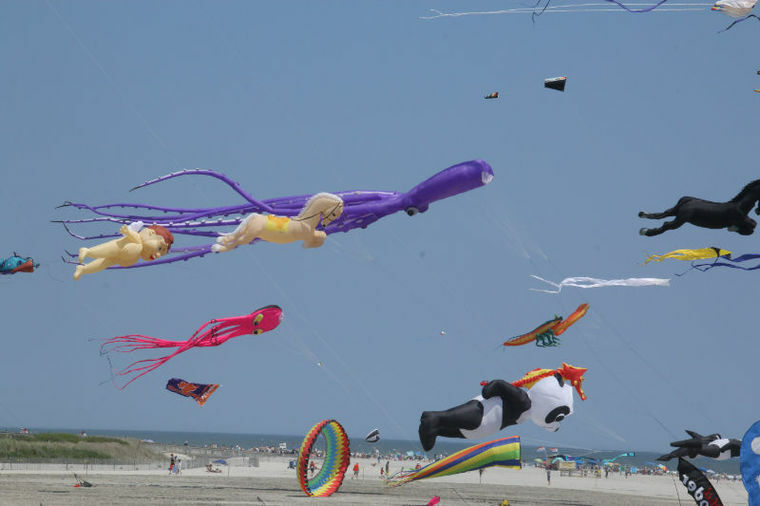 The Wildwoods International Kite Festival showcases huge kites from all over the world taking part in the night time. You have illuminated kite flying events, kite championship, there will be a kite festival auction and this festival also hosts the kite exhibits and workshops. 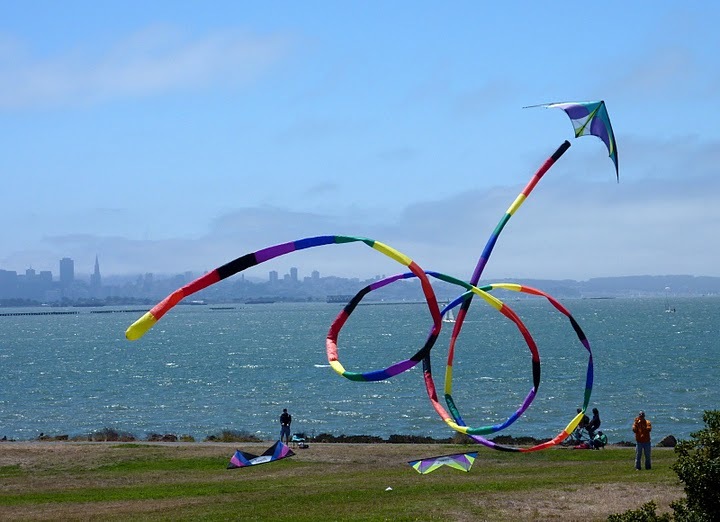 Alongsidewith the backdrop of the Golden Gate Bridge, the San Francisco Family Day Kite Festival is very popular for its free events offering families the chance to make their own kites for free and enjoy kite flying competitions. People enjoy the skills of professional fliers and the acrobatics they do with their kites. Here in this festival prizes are awarded to the funniest and most stunning kites on display. The Rogallo Kite festival is a popular event since 1982, this Kite Festival offers two days of kite flying to honor Francis Rogallo, who is a NASA scientist and discoverer of the flexible wing. This is a technology of which is used for lots of the stunt kites seen today in various kite events around the USA. 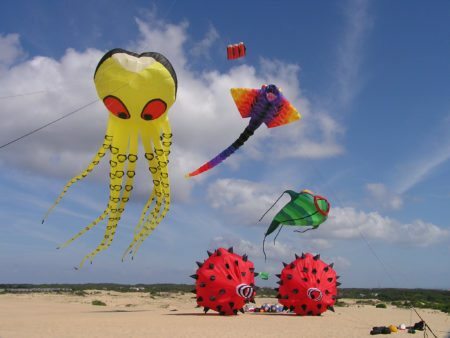 The highlights of this kite festival include; opportunities for free kite making, power kite teaching and a wide collection of very different kites such as the 100-foot octopus, an 80-foot scuba diver and a 50-foot fish. The summer kite festival honors different kite flying themes each year, this is a weekend-long kite festivalthat takes place on the beach in the heart of Lincoln City, Oregon and showcases some of the most multicolored and biggest kites in the world, as well as expert kite flyers who will demonstrate their flying tips. Here you can see experienced flyers and free family-friendly kite-making events, along with the kid’s kite parade, mass ascensions, and more. The Berkeley kite festival is very reputed to feature kites which are bigger than a house and longer than a train. This festival is marked for the world’s largest octopus-like kite and “Giant Creature Kites” which are from New Zealand. The free Berkeley Kite Festival in California also showcases manufacturers‘ and demonstrations thatdemonstrate a wide range of events including the much respected West Coast Kite Championship competition, the famous Japanese-Style Rokkaku Kite Battle for the Skies and team kite dance. There is also contribution for free kite-making and kite flying training. In this festival, you can see food, music, arts and crafts stalls, and an evening dinner cruise on the Empress Hornblower Dining Yacht. The Washington State International Kite Festival is one of the top 10 kite festivals in the US and voted the best kite festivals in the world by Kite Trade Association International, thisweeklong kite festivalhas been popular since 1980. This festival features a competition that has skies ablaze with color, high flying action events and choreographs movements in the sky. 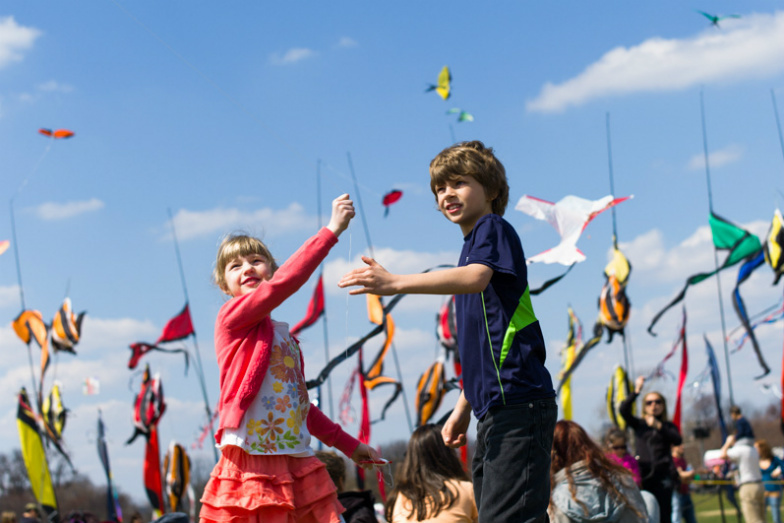 Washington’s Kite Festival draws celebrated kite fliers from all around the world, and tens of thousands awed audiences, many of whom participate in the fun with their own kite flying adventures. 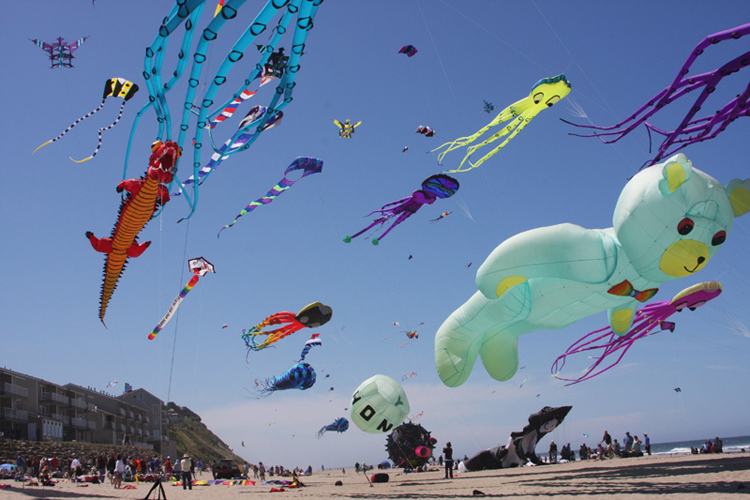 The Fall Kite Festival, in Lincoln City, is the original Kite Festival that hascelebratedmore than three decades of fun. You can enjoy demonstrations by expert fliers, kids have an opportunity to make kites, running of the Bolls, raffles, kid's parade, and many more fun activities in the sand. 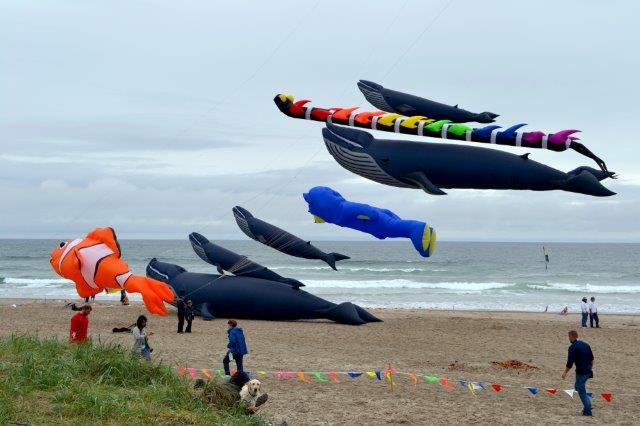 Lincoln City Fall Kite Festival is an authorized event of the American Kite Fliers Association.